As you know we started the Darknet Commenter of the Month Competition on June 1st 2007 and it’s been running since then! We have just finished the tenth month of the competition in March and are now in the eleventh, starting a few days ago on April 1st – Sponsored by GFI. So announcing the winner for March…it’s Pantagruel! It was pretty close between Pantagruel and zupakomputer at the end of the month with a difference of only 4 comments! Pantagruel I did say I thought it was your turn this month! I was right. March was a little slower than February, but was still a good month for discussions. I’d like to thank you all for your participation! I hope it keeps getting better as 2008 develops with more interesting news and tools. Keep up the excellent discussions, it’s very interesting reading especially on some of the more controversial topics. Keep commenting guys, and stand to win a prize for the month of April! We are still waiting for pictures from backbone, Sandeep and TRDQ, dirty and dre, eM3rC (we can’t reach you to deliver the prizes), Sir Henry and goodpeople of themselves with their prizes! 12 Responses to March Commenter of the Month Competition Winner! 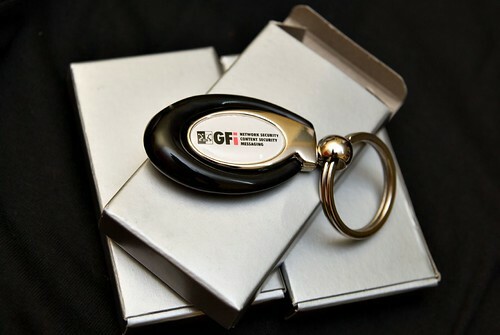 I would like to thank Darknet for this great security related blog, GFI for the cool merchandising, hackerscenter.com for the EHK and people here like dirty, eM3rC, goodpeople, James C, Sir Henry, zupakomputer and all others for their discussions/comments. My guess is zupakomputer will be up for this month, I have felt him breathing down my neck for this last month. Again thanks and be sure to keep the comments up! WTG Pantagruel! I would be interested to hear your comments on the content of the EHK, specifically the white papers as these are purported to give the ‘value added content’ used to justify charging for open-source software. Thanks and oops I forgot to mention you in the line up sorry, you’re one of the faithful people on this blog spilling their critical comments. When I’m done with the EHK (or parts of it) I’ll post some feed back. Don’t worry about the mention, I’m not a prolific poster, just a cynical one! And extremely reclusive so I’m not sure I want to win anyway, tho’ I guess I wouldn’t have to give out me details publically if I did. Congrats Pantagruel, may your hack kit be put to good uses! ps – if you get a PSP and don’t have an HDTV, thegametrain does a slimline-PSP to TV converter cable. Giving away prizes for good commenters is a great way to increase the amount of discussion. It’s something I’d love to implement on my blog once I get enough people visiting it! where do we find out where the prize for this month will be. Will it be a keyring? I’m hoping to get involved. this is an awsome way of getting more people to comment and add to the community of knowledge. The only thing left is the much anticipated Ethical Hacker Kit.